There is never a time you air cute kids that you don’t win. Especially with women/moms. 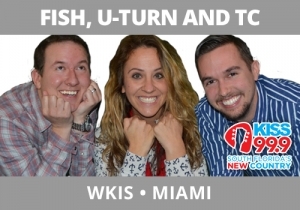 On the Fish, U-Turn, and TC Morning Show, WKIS, Miami, we’re looking for new benchmarks that help define cast members. This is a Stage One show and its cast is somewhat undefined to the audience. So creating features which help that are very strategic. U-Turn’s young daughter is terribly gregarious. Once a week, she gives the name of a very well-known movie or two to Charley and asks her what she thinks the movie is all about, based on the name. Listener to the humor and the production value of this feature and you can hear why it sparkles and works for those listening.